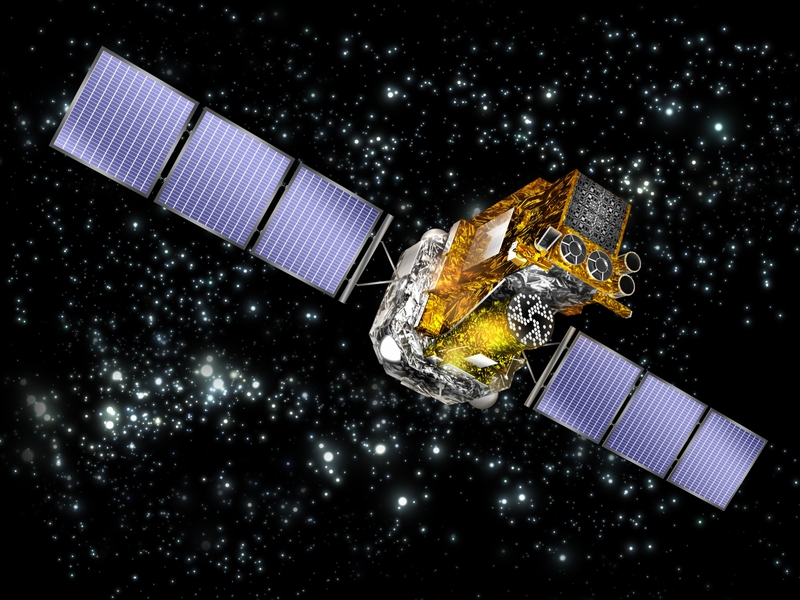 INTEGRAL (The International Gamma-Ray Astrophysics Laboratory) is the second medium-sized mission of ESA's Horizon 2000 Science Programme. INTEGRAL is dedicated to the fine spectroscopy (E/deltaE = 500) and fine imaging (angular resolution: 12 arcmin FWHM) of celestial gamma-ray sources in the energy range 15 keV to 10 MeV with concurrent source monitoring in the X-ray (3-35 keV) and optical (V-band, 550 nm) energy ranges. 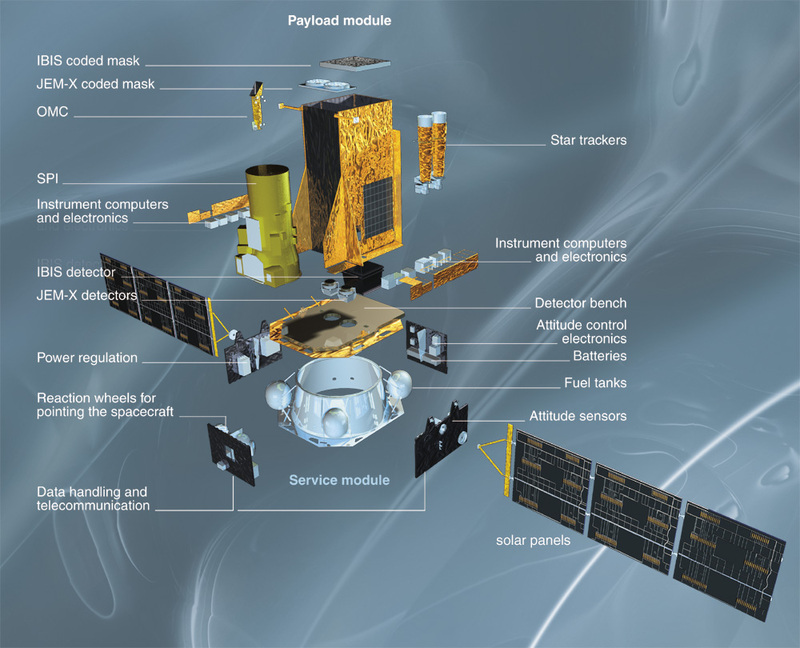 The INTEGRAL payload consists of the two main gamma-ray instruments, the spectrometer SPI , the imager IBIS and two monitors, the X-ray monitor JEM-X and the optical monitor OMC. All instruments are coaligned, covering simultaneously a very broad energy range for the study of high energy astrophysical sources. The industrial team producing the many components for the different parts of the INTEGRAL spacecraft was made up of 26 companies located across Europe and one company in the United States. INTEGRAL was launched with a PROTON launcher from Baikonour/Kazachstan on October 17, 2002. The PROTON launcher injected the satellite into a transfer orbit and INTEGRAL's own propulsion system brought the satellite into its 72 hours eccentric operational orbit with an apogee of 153600 km and an inclination of 52.5 degrees. The orbit evolution over time can be seen in this plot. Checkout the current position of INTEGRAL. For more information, images and videos, see also the ESA Science & Technology INTEGRAL web pages.